Posted: Thursday, June 4, 2015. 11:42 am CST. Thursday, June 4th, 2015. BMG: One of the latest scandals rising from amidst the FIFA corruption involves former Vice President and a bribe of U.S $10 million he allegedly received from South African Officials in exchange for the country being awarded the 2010 World Cup host. Warner who has been accused of racketeering, wire fraud, money laundering and bribery, allegedly began his illegal activities in the early 1990’s and persuaded other FIFA officials to take bribes from him. 72 year old Warner resigned from all football activities in 2011 due to bribery allegations and then stepped down from his political post as Trinidad and Tobago’s Security Minister amid a fraud investigation against him. He has now become one of the 14 FIFA officials that have been charged by the U.S for alleged corruption at FIFA and in the light of the charges being brought against him, Warner said on Trinidadian television yesterday: “I will no longer keep secrets for them who actively seek to destroy the country” and told his supporters at a rally yesterday to expect an “avalanche” of revelations. 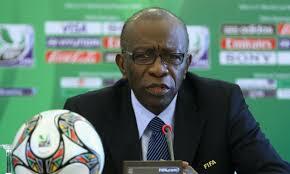 Those statements came after Warner claimed that he could link FIFA and its resigning President, Sepp Blatter, to the 2010 general elections in Trinidad and Tobago. He went on to say that he had given lawyers documents outlining the links between FIFA, its funding, himself and the 2010 election in Trinidad and Tobago. Jack Warner, who continues to deny the charges against him and faces extradition to the U.S, was released on bail after handing himself over to police in the Trinidad and Tobago capital of Port of Spain last week. Warner insists that he is innocent, and that he has always put the needs of his country first in both football and politics.